Google wants to use Stadia to bring players, streamer and developers together on one platform, ushering in a new era of gaming, detached from stationary consoles. Google CEO Sundar Pichai said that the company has worked hard on game streaming in recent years. There was a bigger test around 2018 when users could play the Ubisoft game Assassin’s Creed: Odyssey via stream in the Chrome browser. With Stadia games can be started directly from a YouTube video via a “Play Now” button. It eliminates the annoying download large data packets, the games are streamed through the platform and should be within a few seconds on both the PC, as well as smartphone, tablet and smart TV can be accessed. For the TV, however, a Chromecast-Stick is necessary, on computers and mobile devices Stadia initially runs probably only on the Google Chrome browser. Only later will more apps and programs follow. The games are to be delivered in 4K resolution with 60fps and HDR, also be prepared by working with the graphics engines of Epic Games, Crytek, Havor and Unity in the best way for the future and then higher requirements – 8K, 120fps – satisfy. By supporting a variety of graphics tools, the cloud platform is also intended to be the “most flexible” developer platform. Playing from any device means for Google too, playing with any device. That’s how Stadia promises cross-play across every platform, something that many gamers have longed for. However, the speech here is likely to be cross-play between PC, smartphone, TV and tablet, at least in the beginning, the consoles of Sony and Nintendo are likely to be excluded. Furthermore, Stadia is to share scores with other players and via “Crowd Play” should be able to intervene directly in the current game of a streamer. It remains to be seen what this will look like in the end. In general, Google wants to bring together its video platform YouTube and the gamer of this world more and animate to interact. The search for complete solutions or advice should make the cloud platform superfluous. Players can ask for help from the Google Assistant at the touch of a button. With Stadia, the Group also wants to become a game developer itself and has come with Jade Raymond a former Ubisoft and EA staff member as head of the first-party department Stadia Games Entertainment on board. Without any additional hardware, the service will not work out. 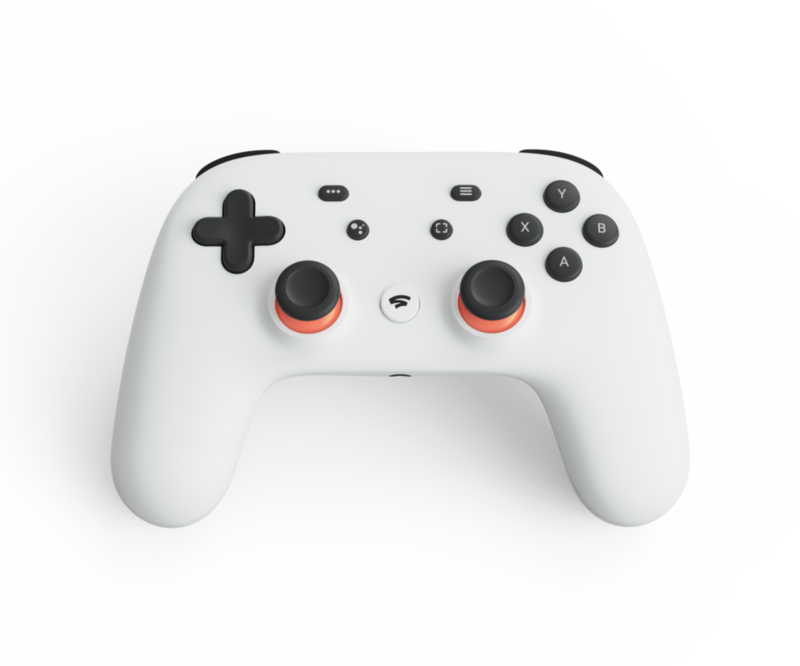 For Stadia Google has introduced a new controller, which looks like the Xbox controller, but brings a few more features. So it can be controlled by the Google Assistant, furthermore, there is a share button to just access the appropriate features. To use Stadia, the controller is not necessarily necessary, so Google Chrome and the Chromecast support numerous controllers, mouse and keyboard can be connected. The controller itself is connected to the data center via WLAN and can seamlessly switch between the different devices. The Stadia controller is reminiscent of the Xbox controller, but has more features. A price for the device has not yet been announced. The streaming service is expected to start in 2019 in the US, Canada, UK and parts of the EU. Further information was provided by the Group during the year. However, it is still completely unclear what bandwidth Stadia requires to really get into the smooth 4K enjoyment without any problems. Especially Germany has not always attracted attention in the past when it comes to broadband expansion.